Haysden Strings. Top class professional musicians, huge repertoire from Vivaldi to the Verve. Stylish and entertaining music for your event. We are professional musicians for hire covering Kent, Sussex, Surrey, Middlesex and London. We can provide music for weddings, funerals, parties, celebrations, recitals and corporate events. With 20 years experience of planning musical entertainment for all types of events, we ensure the most reliable and very highest standard of performance for you and your guests. The players are all highly experienced professionally trained musicians. Music is what we all do for a living, full time. Our guarantee to you: beautiful music played for your event at the highest possible standard. 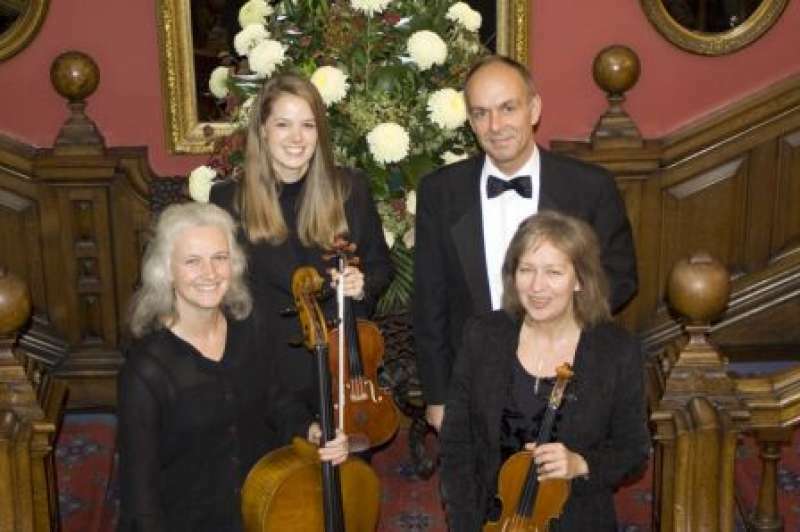 We can provide an elegant and entertaining atmosphere for your special day, playing music ranging from Vivaldi, Bach and Mozart through to Cole Porter, the Beatles, Blur and Coldplay with an overall classical feel. Available as a Trio or Duo for smaller venues or leaner budgets. A string group is the most versatile of ensembles: we play a huge variety of styles, can easily move rooms and are a great choice for background music for events. Complete the form below to receive a FREE quote from Haysden String and similar Rated Performers or suppliers.